Koreans have always had an appreciation for the arts. From the intricately crafted ceramic pottery of the country's dynastic days to modern reinterpretations of pansori, a genre of musical storytelling, Korean artists know no limits. 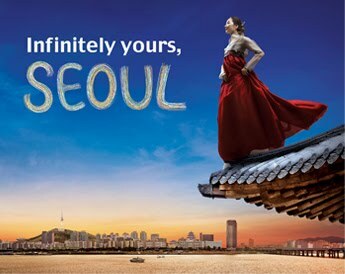 Explore ancient treasures at the National Museum of Korea- one of the largest in the world- or if your tastes are more contemporary, opt for a visit to the Seoul Museum of Art. For a complete list of exhibitions and concerts going on throughout the city, visit this website. Treat yourself to a night of entertainment by booking tickets for one of the many high-energy non-verbal performances showing daily in theaters throughout the city. Miso, a personal favorite, showcases traditional dance, emotional music and some incredibly beautiful costumes, while Bibap is a food-centric story that utilizes martial arts and a whole lot of slapstick to keep the audience laughing from start to finish. For a truly Korean experience, spend a night or two in a hanok. These traditional homes, which are diminishing by the day, are a unique reminder of Korea's past and still preserve the country's history in their tiled roofs, papered windows, enchanting courtyards and heated floors. Bukchon Hanok Village is an especially picturesque neighborhood mostly comprised of these homes. It is, without a doubt, one of the most beautiful areas in the city and is conveniently wedged between Gyeongbok and Changdeok palaces, among other cultural relics, making it a great spot to rest your head after a long day of Seoul searching. 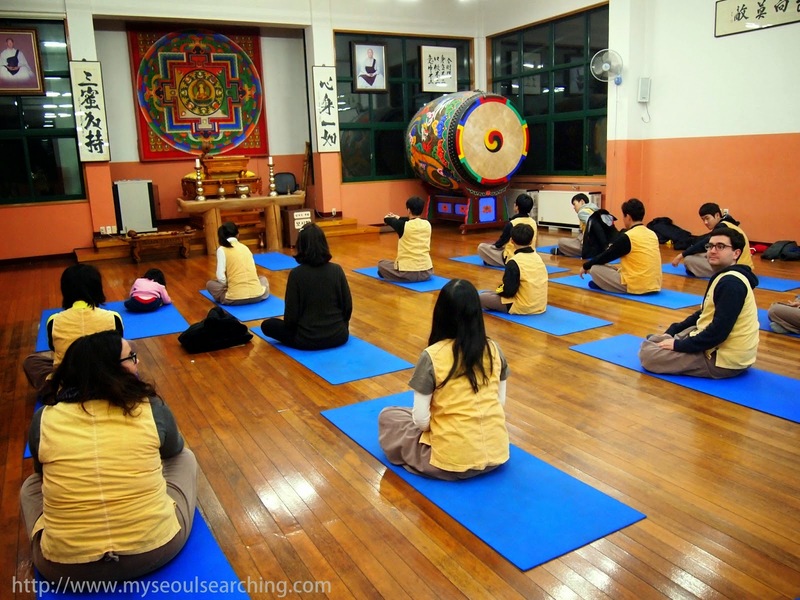 Although the majority of Korean nationals today do not profess a specific religious orientation, Buddhism was once the national religion and its influence on the country is obvious, even in modern day Korea. There are a few temples in Seoul worth visiting, particularly during Buddha's Birthday in May, but one of the best places to get oriented to Buddhism is Bongeunsa, a 1,200 year old complex located in the heart of Gangnam's business district. Visitors with a deep interest in the religion can opt to stay overnight and live like a monk for a day (think grueling prostrations, vegetarian meals and a 4am wakeup call) but for those looking for a less intense look into the life of Buddhist monks, Bongeunsa offers a TempleLife program on Thursdays. Here, participants learn the basics of Seon meditation, the Korean tea ceremony and get a nice tour of the temple grounds. Korea is a coffee-crazed nation, with a cafe on practically every block of every street. Still, there are a number of traditional tea houses primarily concentrated in Insadong. These cafes are easy to spot but the best are tucked away in the alleys of the neighborhood. My go-to is Moon Bird Thinks Only of the Moon, a tea house far more simplistic than its complicated name suggests. Shrouded in rustic decor, Moon Bird is a cozy spot to enjoy a cup of homemade omija (five-flavored) or yuja (Asian citrus) tea. Although the prices for these traditional teas are a bit costly (usually around 7,000 won), the complimentary tea snacks and atmosphere make it worth it. Seoul is often portrayed as a city of concrete and neon, so many are surprised to learn that there are a number of green spaces strewn across the Korean capital. My favorite place to soak up some sun is the Han River and the parks that border it. On any given day, locals can be found in these parks shooting hoops, riding bikes (which can be rented for pennies) and picnicking under sun shades. In the evenings, a musical fountain show is held at Banpo Bridge in which over 200 tons of water are sprayed out of the illuminated bridge in sync to musical tunes. In warmer months, free concerts are held and movies are shown on stages around the river. 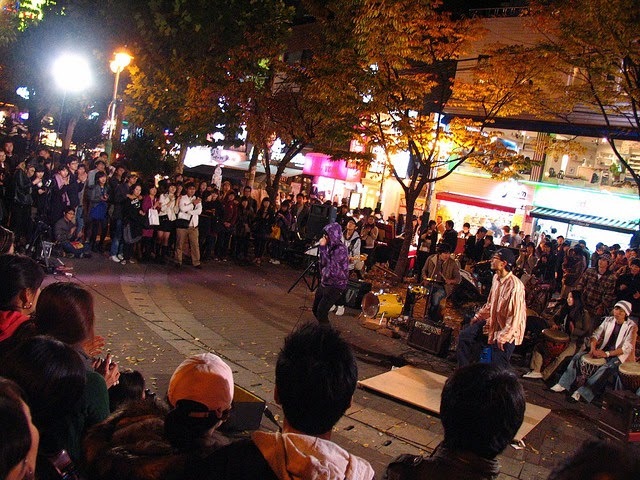 Hongdae is a vibrant neighborhood known for being the creative hub of the country. Boasting a number of design shops, art galleries, indie music bars and fashion studios, the district is the perfect place to soak up the city's up-and-coming trends and youth culture. Spend an afternoon in Hongdae checking out unique (and sometimes strangely) themed coffee shops, snap photos of the colorful street art and chow down on gimmicky street snacks like nitrogen ice cream. After the sun sets, Hongdae really comes alive as thousands flock to the area's bars, dance clubs and noraebangs (private karaoke rooms) for round after round of drunken debauchery. The world is slowly becoming more aware of the tantalizing flavors Korean food has to offer and people from all corners of the globe are flocking to the peninsula to taste the cuisine in its most authentic form. 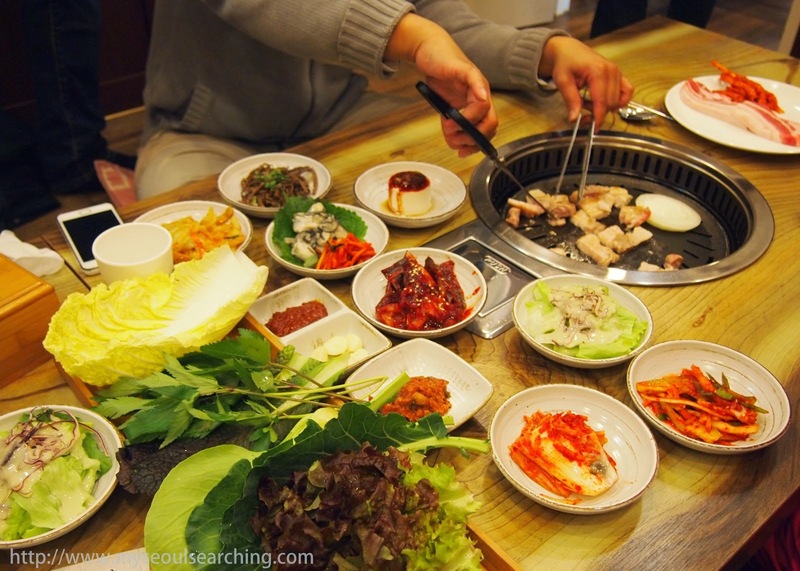 While many restaurants in touris areas are foreigner-friendly, it can be difficult to find the gastronomic gems of Seoul, often located in obscure and hidden back alleys of lesser known neighborhoods. That's why going on a food tour is the best option to sample the tastiest treats Korea has to offer, all the while allowing English-speaking local residents to do the dirty work for you. From seafood market visits to Korean barbecue tours to pub hopping, there's a tour for just about everyone. When I do decide to leave Korea, one of the things I'll miss most is having immediate access to gorgeous hiking trails and outstanding city views. A number of mountains can be easily accessed via Seoul's subway system and trails are clearly marked and maintained. The fact is Koreans- mostly of the elderly variety- have made a lifestyle out of hiking, investing thousands of dollars in colorful outdoor get-ups and equipment. Hiking is a social activity in itself and once on the trails, the cranky and pushy characteristics those of the older generations are known for seem to dissipate. Hikers are quite often eager share both their smiles and lunches of kimbap, fresh fruit and makgeolli- lots of makgeolli- with passersby. These interactions, in addition to the beautiful vistas offered by mountains like Bukhansan, Inwangsan and Dobongsan, make a hiking trip a must on any visit to Seoul. Without a doubt, the best thing to do in Seoul is to get lost. The city is very much a treasure trove of sights and smells and sounds and tastes waiting to be taken in. While I have my own personal favorite off-the-beaten-path destinations I escape to every now and again, there are plenty others I have yet to discover. Seoul is an incredibly safe city which makes wandering its streets not only fun but secure as well. So don't feel the need to stick only to the areas your guidebook suggests. Get out there and experience all the surprises the city has waiting for you!